Joe Pittman, chief of staff for now former state Sen. Don White (R-Indiana), announced his bid for the Republican nomination for the open seat in the state’s 41st Senate district. In a press release sharing his intentions for the seat, Pittman lauded the tenure of his boss and promised to continue his legacy of putting constituents first if elected. 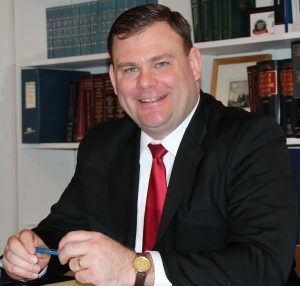 Pittman coordinated White’s successful state Senate campaign in 2000, when he was first seeking the seat and served as his Chief of Staff throughout White’s time in office. In a release about his announcement, Pittman mentions being a lifelong member of the NRA and said he will focus on the production of the state’s “God-given natural gas and coal resources,” while also placing workforce development at the forefront of his office. The Indiana Gazette reports that Democrat Indiana businessman Tony DeLoreto has also expressed interest for his party’s nomination. The special election date is not determined yet. Has Joe resigned as Chief of Staff? I am also to be running for this seat in the special election. Joe is a schmo, vote for Zakrey!